The best little childcare in Auckland is now in Waterview. Waterview’s revitalised parks and playgrounds provide amazing opportunities for exploration and adventure from our gorgeous purpose built learning centre, so let the Rumpus begin! 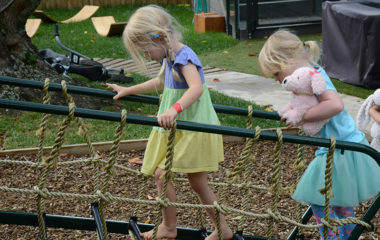 Children learn through play and exploration and this philosophy has guided the design of our new centre. 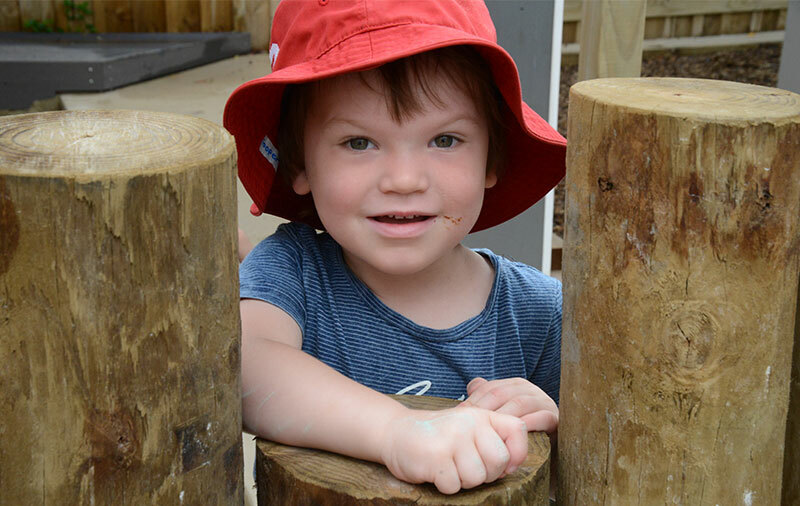 We encourage our children to be in the outdoors as much as possible regardless of the weather and the centre is designed to allow the children to access the outdoor areas easily with great flow from the indoor to the outdoor areas. Our outdoor learning environment features an exciting bike path, climbing walls, a tree platform and den, veggie gardens and our own invention PlayboardsTM which enable all of the outside space to be used for exciting and creative learning. We also have a key card entry system to the centre so that only caregivers have access to the centre in order to ensure the safety and security of the children. View our Parent Handbook. 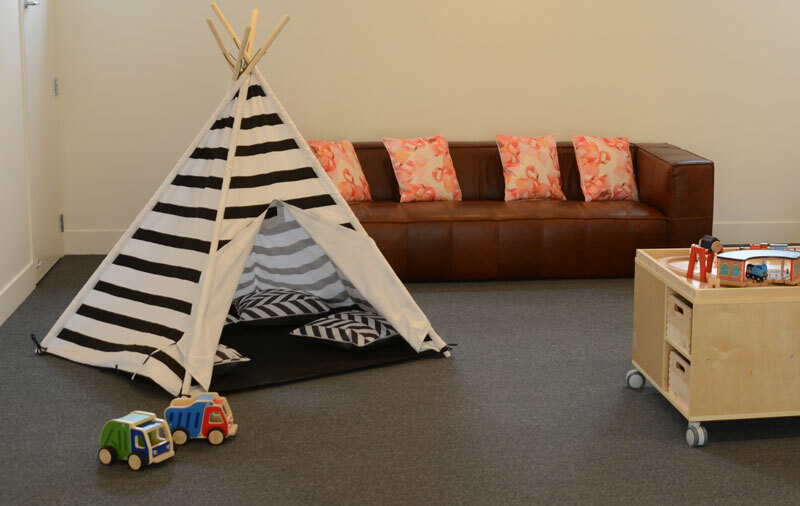 The Rumpus Room is an exceptional early childhood education centre for children aged 3 months to 6 years. All age groups reap the benefits of a home like environment, experienced staff and great resources. We encourage our children to be curious, questioning and confident learners. We welcome the active involvement of parents and whanau. An integrated on-line platform allows stories and photos to be shared between teachers, parents and children. Families can access their child’s online profile and receive regular updates via email, and can submit stories as well. Events and milestones should be celebrated and we love sharing them with you. To create a stable and calm environment, strong relationships are imperative. Our three day minimum attendance ensure that our children are settled and their relationships with their teachers and peers are strong. 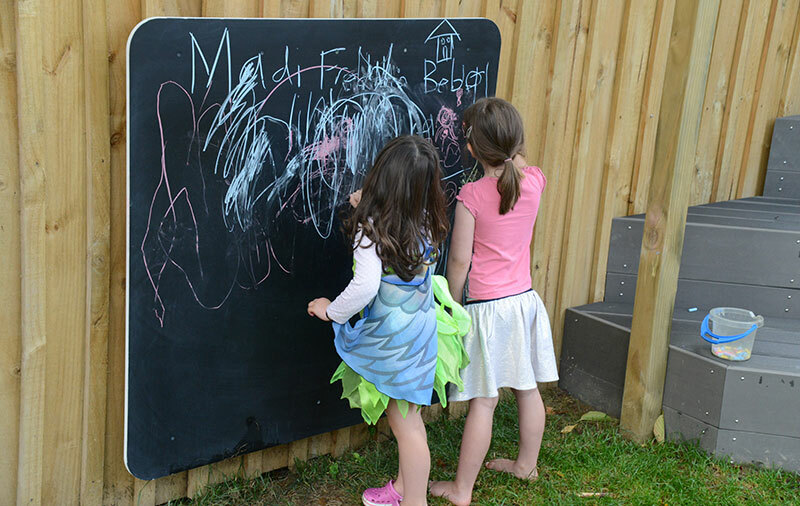 Safe but exciting play is the order of the day, and our outdoor spaces have been designed to maximize learning opportunities. We also have a vegetable garden, enabling children to get their hands dirty, learn about nature and grow produce for their meals. Waterview reserve, Oakley Esplanade and the Waterview shared path are all a stone’s throw away, so our timetable will include lots of field trips and adventures. Because we know food fuels the mind and full tummies equal content children we provide plenty of healthy and delicious morning tea, hot lunch, afternoon tea and late snacks. We cater for a wide variety of dietary requirements and we are very aware of the impacts of food allergies and intolerances. Please talk to us about your needs. Our babies area is a second storey oasis with decks on both side of the centre to get all day sun and light. 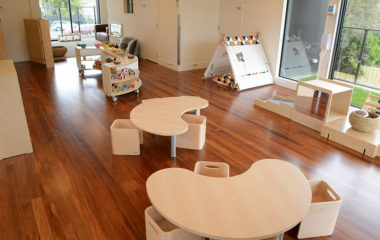 We wanted a space that was nurturing, safe and tucked away, nest like up in the trees, but still maintained a connection with the older children. 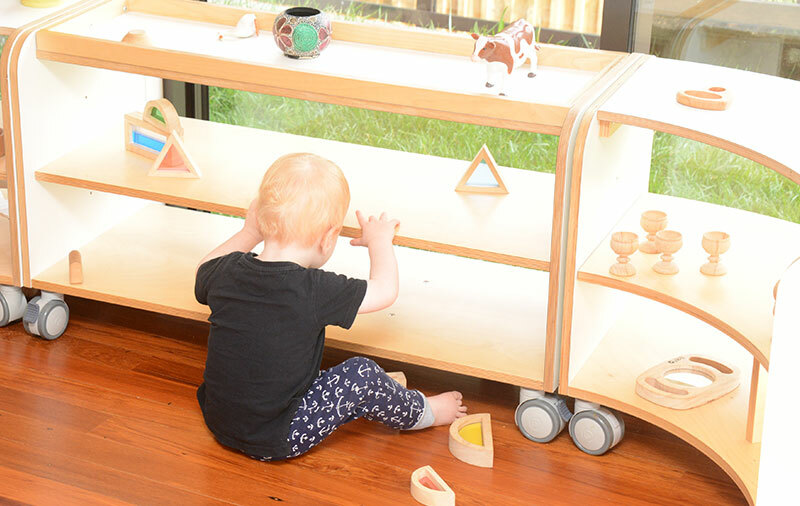 The Nest re-uses the beautiful rimu floor boards from the old church located on the site and has a huge outdoor partially covered play space with a glass balustrade so that the children can see and learn from the older children downstairs while safe in their own area. The nest playground features a huge sandpit and a real grass area to make sure the babies are getting all important contact with the natural environment. The separate sleep room provides a bed for each of the children to ensure that home routines can be followed and sleep times don’t need to be structured to the needs of the centre. The Nest has its own kitchen where the meals and snacks are prepared and the children can take part in baking and creating with the teachers. 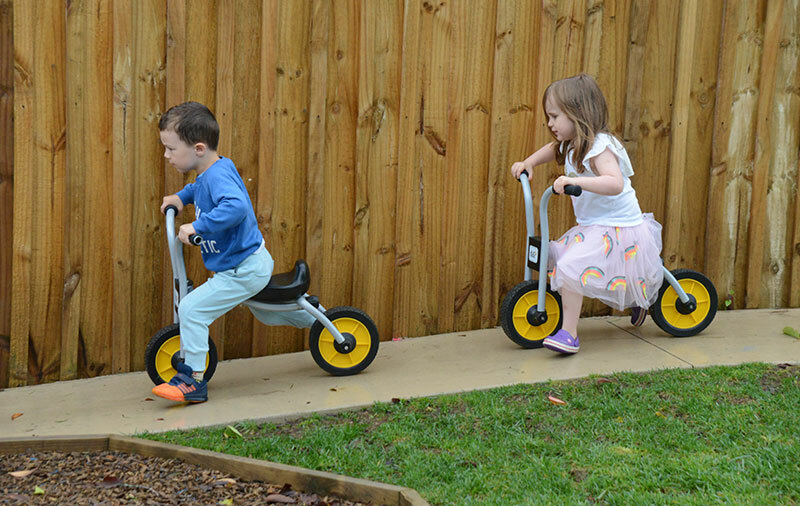 The Fledglings have inside and outside play spaces which can be entirely separated off from the older children or opened up to allow all the children to come together. The Fledglings have a lounge area which can be closed off from the other play areas during sleep time and opened up fully at other times to use as additional play space. The centre is designed to combine the look and feel of a home with great learning spaces that be changed easily to make sure the children’s interests are being reflected and the space stays fresh. The Explorers area allows the older pre-school children to have a separate area in which to have the time and space to pursue their own interests, and some great out door play features, but again can be opened up to allow the two groups to work together or experience the different learning environments. The Explorers will also have supervised access to the carpark area which can be closed off during periods where parents are not accessing the centre giving them more space for ball sports, biking and scooter riding. Hi, My name is Carolyn and I am the centre manager of The Rumpus Room. 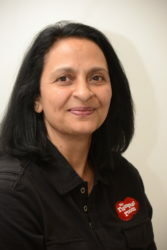 I have been in ECE for the past 17 years and have been managing centres for the past 11. I have been with The Rumpus Room right from the beginning before we opened in 2012 and have loved being involved in the set up from the beginning. The journey over the past 6 years has been filled with loads of fun along the way and I am incredibly proud of the space we have created at our centres and of the fabulous dedicated teaching team we have who work so hard every day making the centres a home away from home for all of our children and families. I am passionate about working alongside such wonderful teachers and together we work hard to make our vision for our centres come to life. I live locally in Westmere with my fiancé Matt, our almost 2 year old son Freddie, who attends our Point Chev Centre, our newborn baby daughter Charlotte, and our cat Bomber! We love spending our spare time together as a family at the beach, the local playgrounds, listening to music (there is never a day without music in our house!) and on a nice summers day in our backyard with the paddling pool and friends! 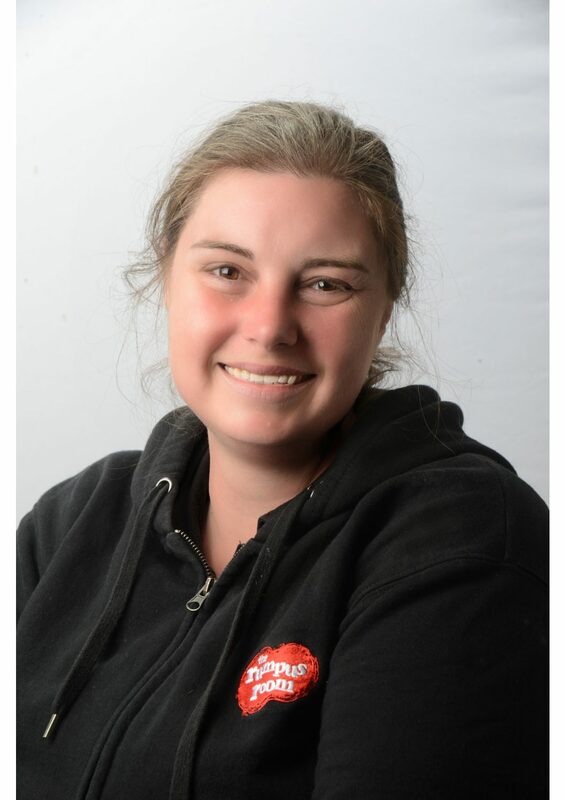 Hi, I’m Heidi and I have been lucky to be a part of The Rumpus Room whanau since our Pt Chev centre opened in 2012. I have been working in ECE now for 16 years so I can truly say that it is a passion for me and not just a ‘job!’. My husband and I met at high school (quite a while ago now) so it feels like in some ways we have been together forever. We also have a wee little guy called Quinn who was born in 2017 and it has been incredible watching him see, learn and explore his new world. I definitely have a whole different level of empathy and understanding for what it is like to be a parent know I have my own child. Creating a place where children feel comfortable to be themselves, are treated with kindness and respect and feel safe to freely explore alongside people that really know them is what is really important to me and underpins my teaching and learning philosophy. I feel honoured to be here at The Rumpus Room working alongside a passionate team of children, families and teachers. 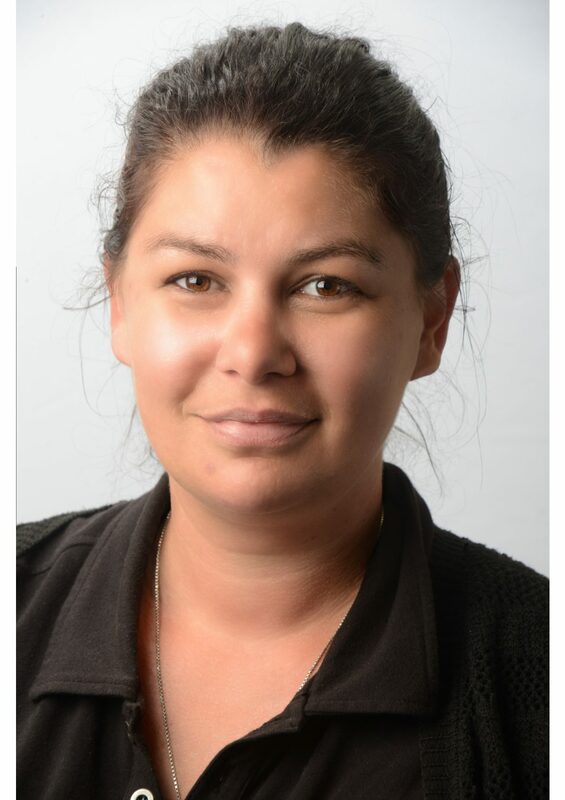 Kia Ora whanau, my name is Jacqui Toloa, I graduated from Unitec in 2004 with a Diploma of Teaching (ECE) and then returned to study in 2006 to be one of the first to go through a newly developed programme completing a Bachelor of Teaching (ECE). I have worked closely alongside children that need extra support with learning and in the past have done so as an ESW (education support worker) with The Ministry of Special Education. I am passionate about early intervention and creating beautiful and thought-provoking environments for children to explore and learn in, in their own time and at their own pace. 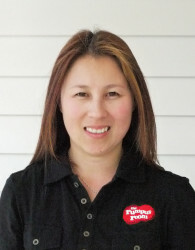 I have spent the last 12 years working in Point Chevalier and am a familiar face in the community. 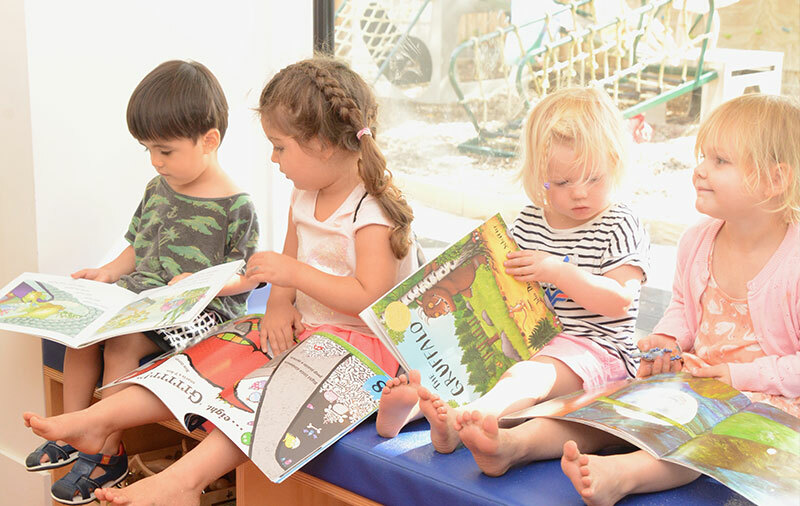 I started teaching in our Point Chev centre as a team leader and then transferred to our Waterview centre as Head Teacher – supporting new teachers and families when we officially opened on the 24th October 2016. The Waterview community has been very welcoming and it is so lovely that we are surrounded by such a beautiful environment that we can all explore and enjoy! I am based in The Explorers area as I am really passionate about this age group and enjoy learning with my tamariki as I believe they can teach us as much as we can teach them. 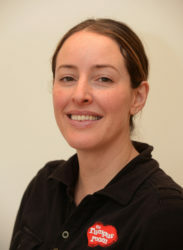 My name is Rebecca, and I am the team leader in The Nest. I have been with The Rumpus Room since we opened in October 2016. I have my bachelor of Education (ECE) and I have been teaching for over 10 years. I have an awesome almost 5-year-old boy Cooper who is in the Explorers room. I am passionate about respectful relationships and nurture based curriculum with our little ones. I love the philosophy of The Nest which aligns with the things most important to me and is strongly based around the RIE philosophy. I love the primary caregiving role as it means strong trusting relationships with both our children and their whanau. I feel so lucky to be a part of your children’s lives and do my part in the partnership of creating a calm, happy and fulfilling start to life. My name is Robin. 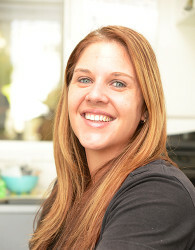 I am a fully registered and qualified teacher, with 9 years teaching experience and 3 years leadership experience. I live in Massey with my partner, Connor, and our Greyhound, Zoe. I am extremely passionate about working with toddlers. I love exploring outside, getting messy and having lots of fun with the tamariki. 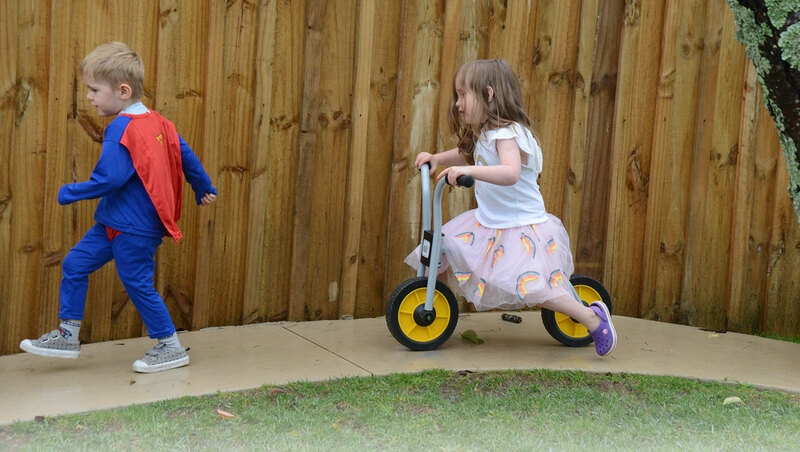 I believe in freedom of choice and allowing children to lead their play and enjoying seeing where children choose to take things. I have experience working within a RIE philosophy and always aim to empower and inspire the children in all areas of their learning. Communication, respect and strong relationships are of the utmost importance to me. 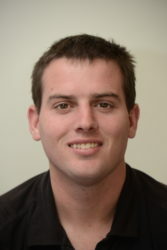 I have been teaching for 11 years, predominantly working with 1-year olds. I am passionate about the RIE approach and letting children’s learning and development unfold naturally. 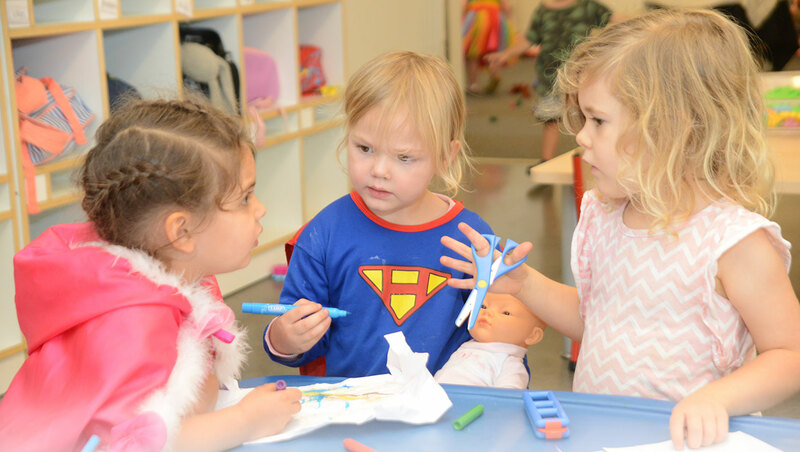 I love working in the primary care environment we have here at The Rumpus Room as I feel that it is the best way for infants and toddlers to learn, as well as feel safe and secure. 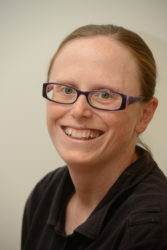 I have an interest in psychology and have completed my Diploma in Child and Adolescent Psychology through Open Polytechnic after completing my Bachelor of Education at Auckland University in 2005. 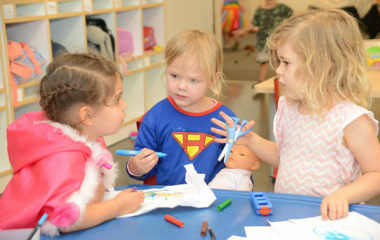 I enjoy documenting children’s learning and observing their language development over time. I have grown up living on the North Shore of Auckland and now live with my partner Simon in Onehunga. My sister and her husband live on the shore and have a delightful 5 year old whom I love spending time with and going on adventures with. My brother lives in Norway with his husband and this gives us a great excuse to travel as much as possible. I have had fun exploring parts of Europe and America throughout the years – I have attempted an official OE but was very homesick and realised New Zealand is where I belong. I enjoy going for walks and exploring new places with family and friends and I have a passion for art history, in particular the Impressionist era and my favourite artist is Degas. I am an avid reader and hope that I can pass this passion on to young children. I feel privileged to work with the children and families of the Rumpus Room and the amazing team we have built up. I look forward to continuing this journey for years to come. I finished my Bachelor of Education, specializing in ECE, at the University of Auckland at the end of 2017 and now work fulltime in The Fledglings at Waterview. 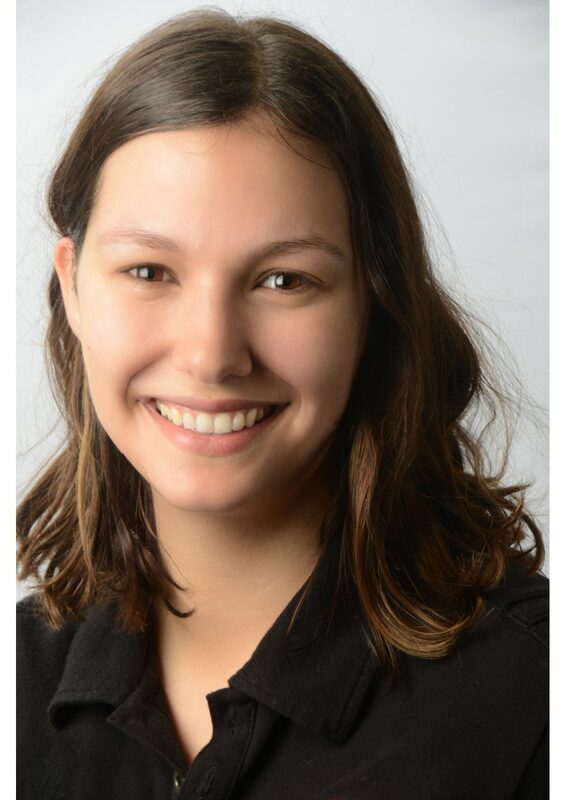 I started at the Rumpus Room in 2016 where I did my second-year practicum in the Nest at Pt Chev and have been relieving part time and full time at both of the Pt Chev and Waterview Centres in the Nest and in the Fledglings and Explorers while I completed my studies. I have a passion and belief in the RIE philosophy, I am also passionate about providing an element of risk in children’s play through provocations in the outside environment to build children’s confidence in their own bodies. I love playing soccer and I have been playing since I was 6, I play at Western Springs Football Club and I’m involved in setting up the junior football league. I love to travel and have a huge love of music and going to concerts. I look forward to getting to know all of the families and children at the Rumpus Room and seeing where the learning journey can take us. Hello my name is Emily. I am a teacher and a mother of a beautiful four year old girl Lola. It was my daughter Lola and my journey through motherhood that made me realise my love for children and education. I will be studying a Graduates Diploma in Teaching (ECE) in 2019 to become a qualified teacher. My previous degree was in Visual Arts so I love to get creative and share my passion with the children! In my spare time you will find me drawing and painting or having some fun with my girl. Kia ora! 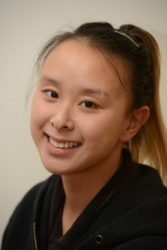 My name is Kimberley Ooi and I am a qualified graduate in a Bachelors of Early Childhood Education, from the University of Auckland. I started working at The Rumpus Room in 2016 and have thoroughly enjoyed working alongside the children and the other kaiako from both Waterview and Point Chev. Within my practice, I am deeply interested in the development and learning of children and how the physical side of learning can help promote a child’s emotional and mental wellbeing. I love to help promote children taking on challenges within their play, to promote their view of themselves as capable and confident learners. I fully believe in the idea of teaching and working alongside children with a respectful practice and giving children the time and space to feel safe enough to take risks. In my spare time I love to go outdoors, and go on hikes and walks around Auckland, this love of the outdoors has influenced my practice as I believe it enables an individual to push and test their limits in unique ways, and when they achieve something it helps develop a positive self image. I believe the outdoors and play in the outdoors is a great way to help develop learning of ones self. Outside of this I also love spending time with my family. I am the youngest of a family of 5 where there is my mum, my dad, and my two sisters, Amanda and Nikki. I also have a partner called Kenji and a beautiful nephew and niece called Jake and Addison. As a family, we love coming together and eating food! I am a massive foodie, and my family own a restaurant in New Lynn called Bunga Raya. I really look forward to meeting all the children and their whanau, getting to know all the different cultures of each family, and building great relationships with you all! 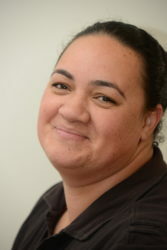 Kia ora my name is Kimberly Kingi, I live in Te Atatu South and I am a student at The University of Auckland where I am about to enter my third and final year of study in 2019. Over the past 2 years I have thoroughly enjoyed working in early childhood education and have mostly worked with infants and toddlers. I love seeing young children reach their goals in their development as they try to make sense of their worlds. 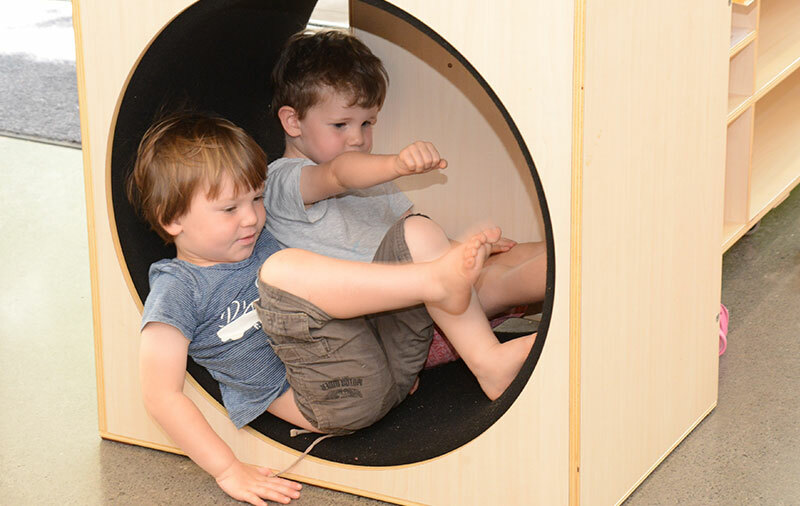 At The Rumpus Room I have been working in the Nest as a student teacher and I love the way the children are able to express themselves and explore their environment freely with support from their peers and Kaiako (teachers). I look forward to getting to know everyone here and learning as much as possible. 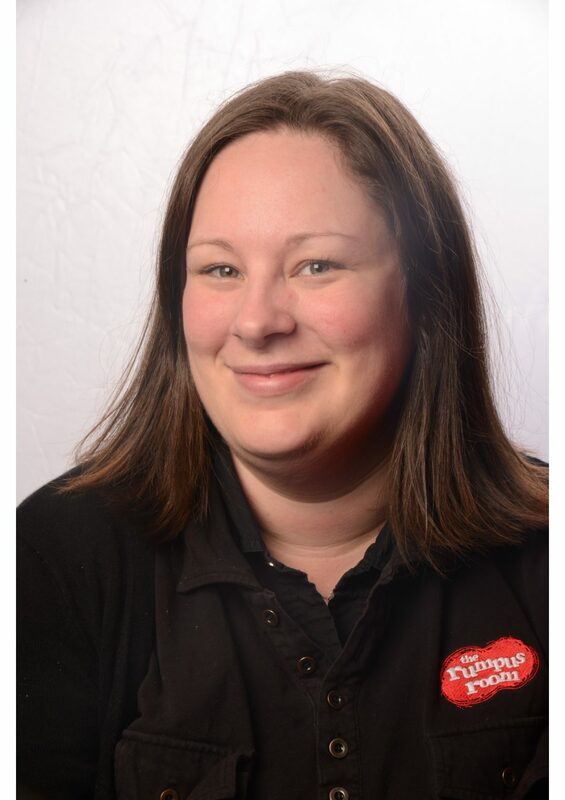 Hi, I’m Kylie and I’m so excited to be a part of the teaching team at The Rumpus Room. I have been teaching in ECE for the last 15yrs and have enjoyed every second of those years. I can honestly say that I learn something new every day from all of the amazing tamariki that I get to spend my time with. I live in West Auckland with my husband and our two children. I was very lucky to be able to be at the same centre while my children were enjoying their “kindy” days. It was amazing to be a part of their learning journey. I love creating spaces that children can be themselves, feel challenged, be inspired and have fun! I strongly believe in play-based learning and enjoy being able to learn alongside our youngest learners. 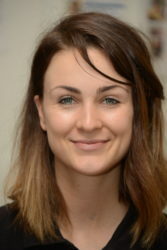 Hi I’m Lena, I’ve been an ECE teacher for 6 years and I feel so lucky to work with an amazing team at The Rumpus Room. Infants and toddlers are my passion. They teach me to slow down, take notice of the world and enjoy the simple things. I think I’m a better person because of them! Respectful relationships with children, their families and my fellow teachers are at the heart of my teaching. I’m marrying my fiance next year after being together for 9 years. I’m so excited, and can’t wait to celebrate with friends and family. My name is Mabel, I was born and raised in Fiji. My husband and I moved here in 2006. I am of European and Fijian descent. We have four young gentlemen, the eldest is in his final year of high school and my youngest starts intermediate next year. I worked in the hospitality industry in Fiji before moving here to New Zealand. I started working as a reliever for Randstad and soon found myself working permanently at The Rumpus Room, Point Chevalier. I have now been with The Rumpus Room for four years now starting at the Point Chevalier centre then moving here to start the Waterview Nest team. I have always loved working with children. I bring with me many years of experience as well as having my own which has helped me understand and appreciate the tamariki. I look forward to meeting you and your tamariki on your journey through their early years in life. My name is Sujata. I am married to Subhash, and we have two boys who are studying in America. One is doing his PHD and one is doing his Masters. I am incredibly proud of both of them. I have a Masters in Economics and have worked as a teacher in America prior to coming to NZ and now embark on a career as an Early Childhood Educator here at The Rumpus Room. I realise how very important education is and that it begins in the very early years. Working alongside the Fledgling children offers me the opportunity to have fun and to also to make a difference to these growing minds. 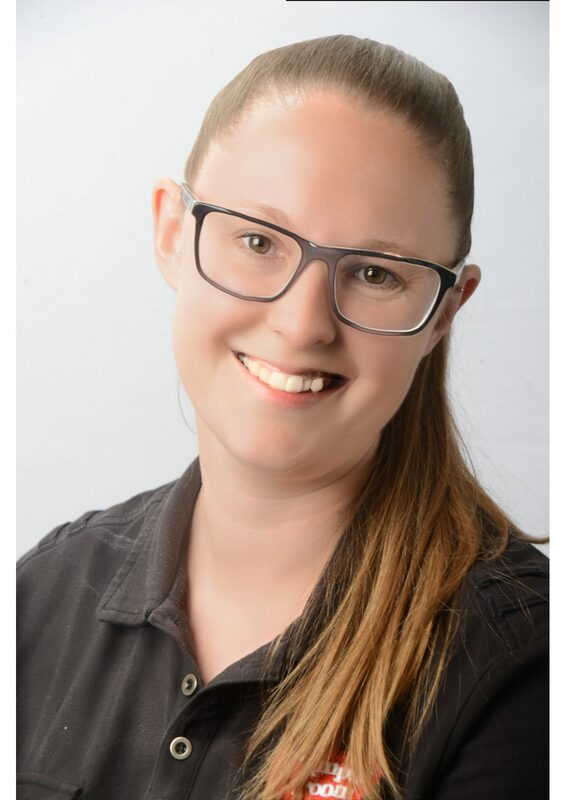 Hi my name is Amy and I have recently joined the wonderful team of teachers at The Rumpus Room in Waterview as a teacher aide/ centre cook. I have been in the crazy world of hospitality for over 20 years, studying at University when I was 17, working in top restaurants then moving into cafe management. I also care for my mother who suffered a serious stroke. I have 2 amazing girls, Lily 8yrs and Chloe 6yrs and a fabulous partner Josh – we have been together for over 20 years! I am actively involved with Girl Guides NZ being the Leader of the Pt Chevalier Brownie unit, working with 7 – 9 year old girls. We are often out in our community doing projects, adventure camps, crafts and challenging ourselves to try new things. I was privileged to receive this year’s Outstanding Leader Award for Tamaki Makaurau 2018. I have a passion for cooking and working with children so being able to come to work every day at The Rumpus room fills both those needs so I am very lucky!